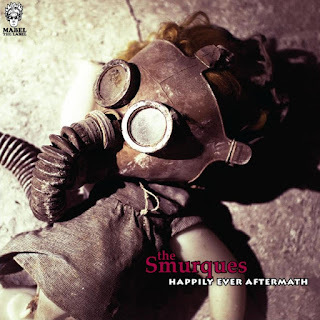 Mabel The Label is proud to herald the release of The Smurques' debut album: "Happily Ever Aftermath" -- a curious, postmodernist doggy-bag of musical stylistic elements, from hand-played jazz and drum & bass, ambient, electronica, reggae and dub, to nashville, rock, and pop vocals. 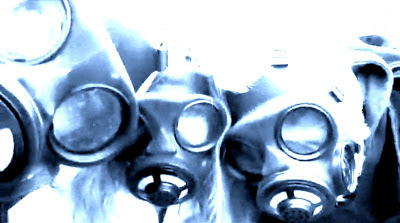 The Smurques are producer, Jah Bozo (prev. Banzai Republic), bassist, Jannick Næsted, jazzguitarist, Christian Bluhme, and drummer/percussionist, Pontus Torstensson. The Smurques’ music is largely jammed into existance and then laborously tweeked, morphed and re-synced in the virtual realm, although admittedly largely for their own personal auditory amusement enhancement. In these questionable times, musicians might as well just make music for themselves, and if anyone else likes it, well… BIG UP! But thanks to the efforts of Mabel The Label, The Smurques have been persuaded to share some of their favourite productions, so that someone else might enjoy them, too! (As long as it didn’t cost them anything, or otherwise conflict with their absolutist dogma of "Seriously Fun And At No Expense!") Mabel will continue to release occassional selections of Smurque’s tracks, more or less in chronological order of their production. Enjoy!